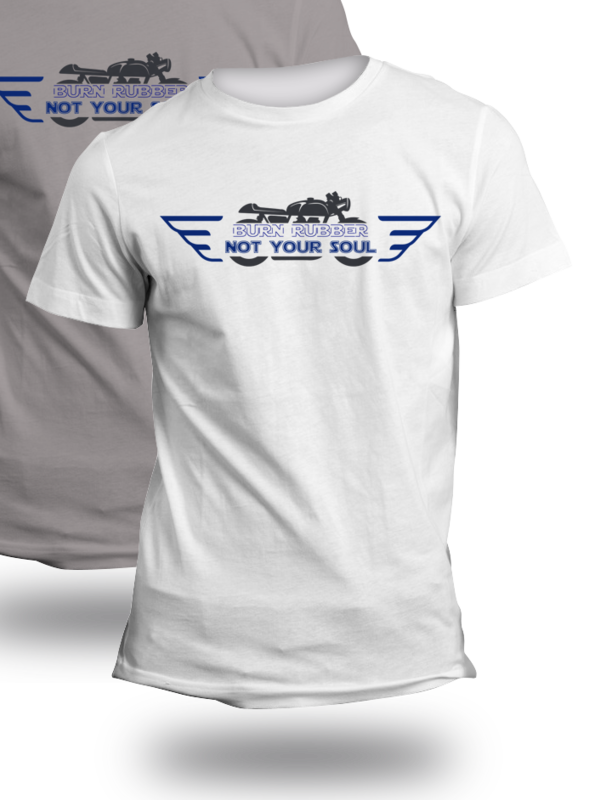 Burn Rubber Not Your Soul Biker TShirt - Put It On, Wear It Out. Know Someone Who Would Love This Tshirt, Share It With Them On Facebook & Twitter. Dispatched Within 72 Hours, No Waiting Round For Campaigns To Finish.